Finally it was land ho today. It was nice to set foot on terra firma after two days of wobbling around the decks. 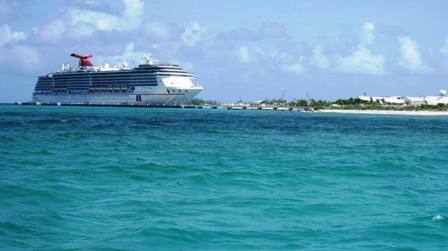 Grand Turk is a picture postcard destination – turquoise waters, perfect sand, and water as warm as a bathtub – ahhhh. 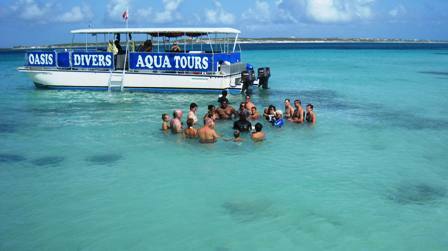 I was here three years ago onboard Crown Princess and did the Gibb’s Cay Stingray and Snorkel tour. Unfortunately, we were unable to finish the excursion because one of my shipmates stepped on the barb of a stingray. Ouch! It was bad as the barb went all the way through his foot. The poor man was bleeding profusely not to mention being in excruciating pain. The tour operators quickly gathered everyone back into the boat to rush the man back to the ship. Thankfully he ended up being okay. 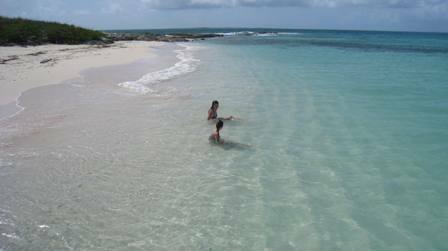 But I always wanted to go back and finish this tour because it was an absolutely gorgeous cay with a pristine beach. Today, I did just that. It was funny because I had to same boat captain as the first tour. He recognized me and we chatted about what happened three years ago. There had been some changes over the years. For one, the entire bucket of fish food was no longer handed to guests to feed the rays. 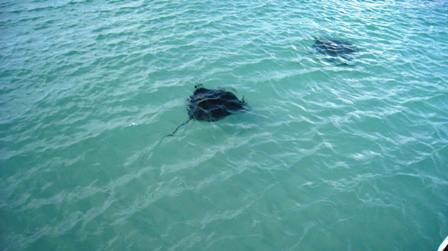 Now each guest was handed one piece of bait at a time to feed the rays. Rays can get excited when you feed them. They are sweet creatures, but are very strong and if you get enough around you rubbing your legs for food you can easily lose your balance – that’s what happened to the man three years ago. Tomorrow Half Moon Cay and cabana fun! 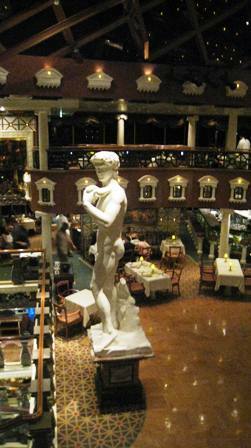 Carnival bloggers’ cruise day 3: Psst, do you want a scope-tini? Wow great pics and nice location..Thinking to visit. What was the medical emergency that you had to arrive in Nassau early? Also my Son is on deck 5- 5189 tell him I said hi! Absolutely gorgeous pictures! The water looks crystal clear!